Genuine Fender® Toronado / Jeff Beck Stratocaster® "Fender® U.S.A." Logo chrome neck plate. Asymmetrical 4-screw mounting with neck tilt adjustment hole. 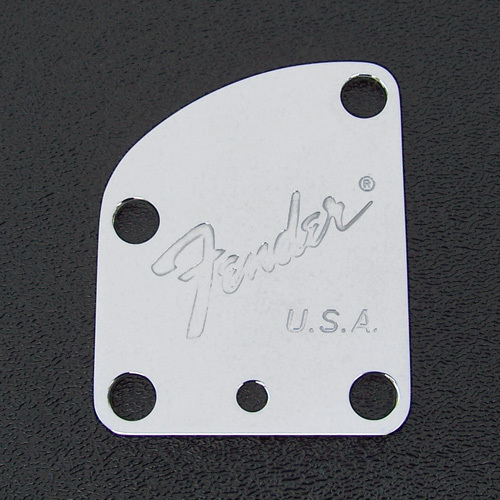 This neck plate design is exactly the same as what is found on the American Deluxe Strat® but the stampings are different. Mounting screws sold separately as item #'s 268-589 or 099-4948-000.